Milwaukee M12 BPD Cordless Percussion Drill is a high performance sub compact percussion drill measuring 190mm in length making it ideal for working within confined spaces. Has REDLINK™ overload protection electronics in tool and battery pack to deliver best in class system durability. The 10mm metal chuck allows for quick bit changes and bit retention. Has an optimised handle providing better control and improved grip whilst the on board fuel gauge and LED light provide added user convenience and illumination in low lit working conditions. 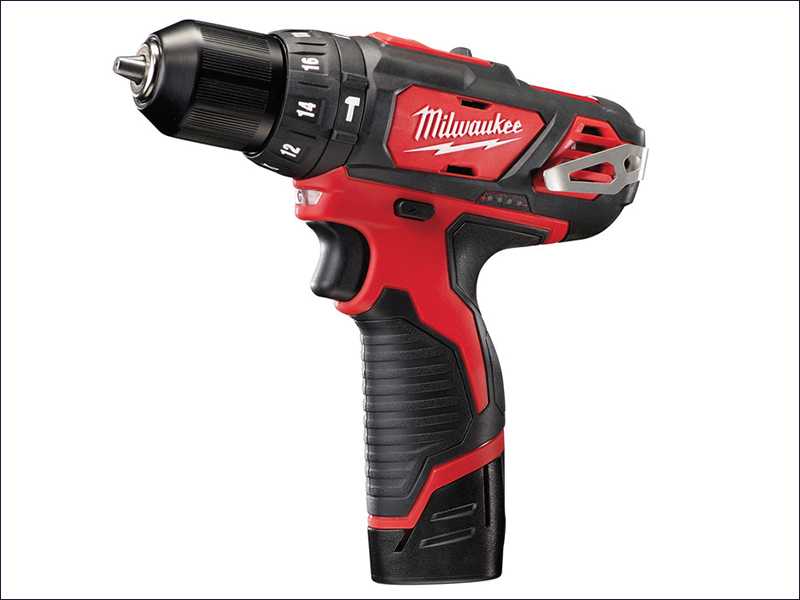 Flexible battery system that works with all Milwaukee® M12™ batteries. Supplied with 2 x 2.0Ah REDLITHIUM-ION™ Batteries, Charger and a Kit box. Capacity: Wood: 22mm, Steel: 10mm, Masonry: 10mm.